� Brews up to 43 litres of coffee per hour. �	Large water tank�over 37 litres. � Draw off hot water during brewing cycle without affecting coffee quality. �	Top mounted components for ease of service. As with all of the range of Bunn coffee equipment the SRU is incredibly robust, exceptionally reliable and very easy to use. It is designed to be used in situations where a large amount of filter coffee needs to be produced in one go. 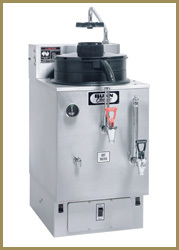 Bulk brew equipment is ideal in hotel breakfast areas, conferencing facilities and busy bars and restaurants. This particular system also allows for the dispense of high volumes of hot water without affecting the efficiency of the coffee brewing cycle. Whilst still being a high capacity piece of equipment and providing similar functionality, the SRU has a smaller footprint than the Bunn U3 and as such is ideal in areas where space is at a premium. As with any system that is heating large amounts of water the Bunn SRU will need to be fitted with a high capacity and good quality water filter. This is particularly the case in very hard water areas such as London and the surrounding areas. 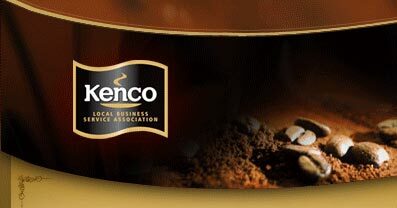 Kenco Local Business Service can supply, fit and maintain the entire range of Bunn filter coffee systems across London, Buckinghamshire, Berkshire and Hertfordshire as well as providing all of the initial and on-going staff training. Our warehouse just outside of Hemel Hempstead is ideally placed for us to serve towns such as High Wycombe, Aylesbury, Watford, Hatfield and St Albans as well as placing us on a convenient route into London. 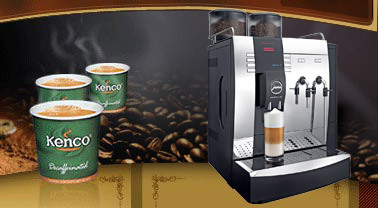 We supply Kenco Westminster and Kenco Sustainable filter coffee which is suitable for use in these machines, as well as the filter papers and all of the cleaning products required for the use and maintenance of bulk brew coffee equipment. The SRU is available to rent, lease and purchase. We also occasionally have refurbished units that we can offer at reduced rates or on shorter term contracts.